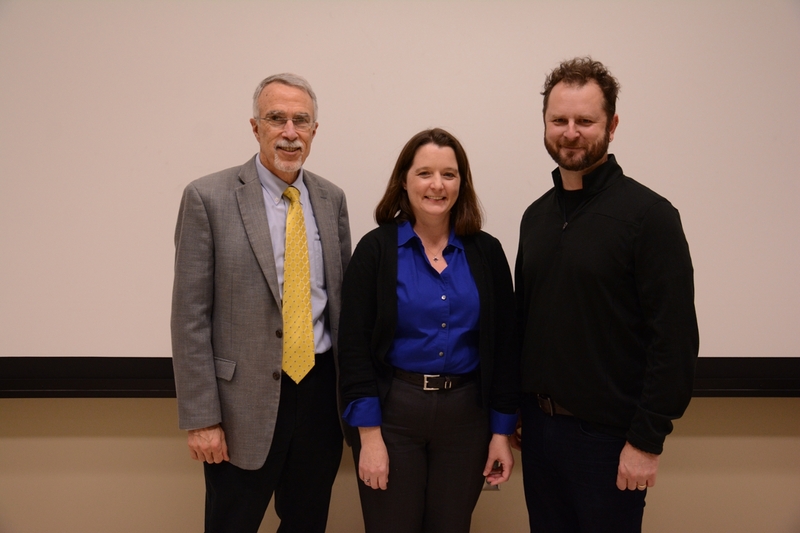 COSAM recently hosted the first event in a series of new lectures to help showcase the work of its faculty. Dr. Anne E. V. Gorden and Dr. Paul A. Cobine were the first two speakers in the series. Dr. Anne Gorden is the recipient of the 2018 College Outreach award. During her presentation, she discussed the value of long-running projects impacting students and the entire community. Dr. Gorden shared an array of programs including mentoring through the Association of Women in Science at Auburn University and the LADIES Science Program, which provided after school activities to encourage middle school girls to have an interest in science and STEM careers. She also shared information about engaging activities through the Summer Science Institute, and outreach programs with the American Chemical Society that include hands-on learning experiences with liquid nitrogen, polymers and even young students having fun dressing up as a scientist. Dr. Cobine is the 2018 recipient of the Dean’s Young Faculty Scholar award. He shared insight about his research with copper explaining the transporter process of this metal and current research with yeast models in his lab. He shared information about how copper modulates pathways and the research being conducted by undergraduate students in his lab. He highlighted how this research can help save lives since more than 1.4 million people died from heart disease, diabetes, cancer and Alzheimer’s just in 2016. Dean Nicholas J. Giordano with Dr. Anne E. V. Gorden and Dr. Paul A. Cobine.